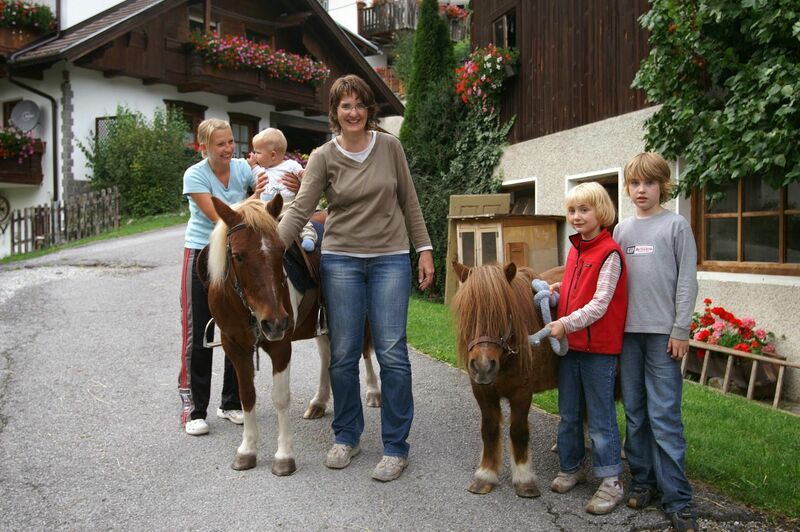 The dream of spending horse riding holidays becomes true here with us at the Kassnhof in Telfes. Whether first trial lessons with the ponies or riding trips and lunging lessons with our horse riding instruction Manu – it is simply the perfect place for horse lovers. In addition to riding, both in summer and winter, fun and sports are among the daily activities at the Kassnhof. It is particularly convenient for our guests that we offer an own sports shop including rentals and an on-line reservation system. Guests can thus comfortably rent equipment for all kinds of summer or winter sports without any trouble. Numerous hiking or mountain bike tours or refreshing rounds in the Kampl bathing lake ensure fun during hot months. In addition, rafting, canyoning, paragliding, e-biking and climbing will turn your summer vacation in the Stubaital into an adventure. More outdoor programme information is available at www.sport-stubai.at. Thanks to the proximity to lifts and pistes (only 250 m) winter sports fans are perfectly set up at the Kassnhof in Telfes. Snowshoeing, cross-country skiing, sledding or also winter hikes are integral elements of the varied sport offer in the Stubaital. The ski course registration can even be directly taken care of here with us.